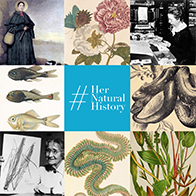 Contributions from "Field Museum of Natural History Library"
This contributor has added 823 volumes from 542 titles, containing 208863 pages. This contributor has added 10 chapters/articles/treatments. Publication info: Berlyn :Akademische boekdrukkery,1827. Publication info: Hamburg,Druck von J.A. Meissner,1852. Publication info: Calcutta :printed for the author at the Military Orphan Press,1864. Giornale di scienze naturali ed economiche. By: Istituto tecnico di Palermo. - Società di scienze naturali ed economiche di Palermo. Publication info: Palermo, Italy :Istituto tecnico di Palermo. Publication info: Amsterdam :G.L. Funke,1868. Publication info: Leipzig :C.F. Winter'sche Verlagshandlung,1872-1876. Guide to the Field Columbian Museum : with diagrams and descriptions. Publication info: Chicago :Field Columbian Museum,1894. Publication info: Chicago :Field Columbian Museum,1895. Publication info: Chicago :Field Columbian Museum,1896. Publication info: Chicago :Field Columbian Museum,1897-1898. Publication info: Jena :G. Fischer,1899. Publication info: London :Rowland Ward, Limited,1899. Publication info: Chicago :Field Columbian Museum,1900. Publication info: Chicago :Field Columbian Museum,1903. By: Field Museum of Natural History. Publication info: Chicago :[The Museum],1910. Publication info: Chicago, U.S.A. :Field Museum of Natural History,1921. Publication info: Chicago :[Field Museum of Natural History],1922. Publication info: Chicago :Field Museum of Natural History,1924. Geology leaflet / Field Museum of Natural History. Publication info: Chicago, Ill. :Field Museum of Natural History,1925-. Publication info: Chicago, U.S.A. :[The Museum],1926. Publication info: Chicago :Field Museum,1928. Publication info: Chicago:Field Museum of Natural History,1928. Publication info: Chicago :[The Museum],1930. Publication info: Chicago, U.S.A. :Field Museum of Natural History,1931. Publication info: Chicago :Field Museum of Natural History,1932. Publication info: Chicago :Field Museum of Natural History,1933. Publication info: Chicago:Field Museum of Natural History,1935. Publication info: Chicago, U.S.A. :Field Museum of Natural History,1937. Publication info: Chicago :[Field Museum Press],1938-1939. Publication info: Chicago, U.S.A. :Field Museum of Natural History,1940. Publication info: Chicago, U.S.A. :Field Museum of Natural History,1941. Publication info: Chicago :Field Museum Press,1942. Publication info: Chicago, U.S.A. :Field Museum of Natural History,1943. By: Chicago Natural History Museum. Publication info: Chicago :[The Museum],1945. Publication info: Chicago, U.S.A. :Field Museum of Natural History,1946. Publication info: Chicago, U.S.A. :Chicago Natural History Museum,1947. Publication info: Chicago, Ill. :Chicago Natural History Museum,1948. Publication info: Chicago, USA :Chicago Natural History Museum,1949. Publication info: Chicago :Chicago Natural History Museum,1950. Publication info: Chicago :[The Museum],1951. Publication info: Chicago, U.S.A. :Chicago Natural History Museum,1952. Publication info: Chicago :[The Museum],1954. Publication info: Chicago, U.S.A. :Chicago Natural History Museum,1955. General guide, Chicago Natural History Museum : formerly Field Museum of Natural History. Publication info: Chicago :Chicago Natural History Museum,1956. Publication info: Chicago, U.S.A. :Chicago Natural History Museum,1958. Publication info: Chicago :[The Museum],1959. By: West, Robert M. - Williams, Patricia M.
Publication info: Chicago :Field Museum Press ,1973.